What has changed the lives of a whole bunch of people? A wild shrub with yellow flowers that grows like a weed in humid tropical areas. 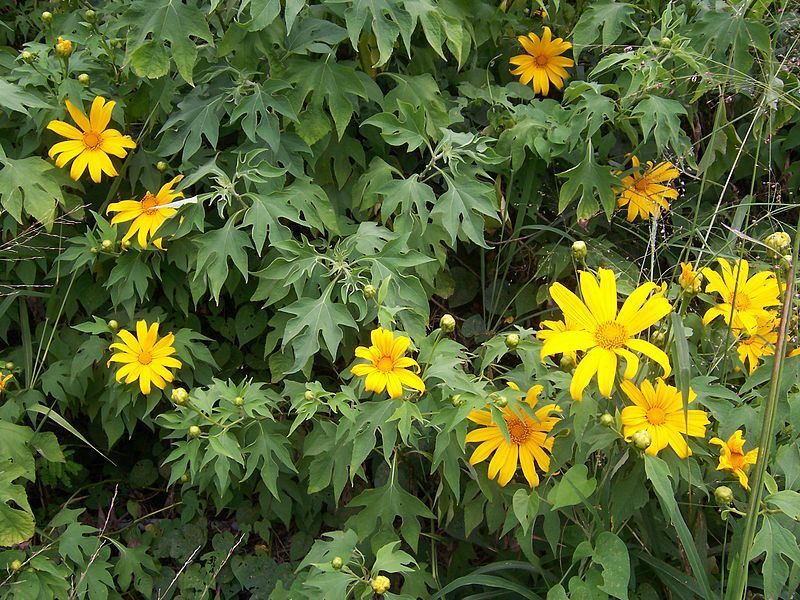 The plant, called Tithonia diversifolia, can be used as a fertilizer to increase cereal or vegetable yields. Made into “green manure”, its effects are equivalent to those produced by chemical fertilizers. Julien Kauer from Fribourg in Switzerland was told about this plant by a Kenyan friend when he was young, sparking his interest in natural farming and agroecology. Today, Julien heads the Education, Medicine and Agriculture Universal Access foundation (EMAUA CBO), which he created in 2015. His aim is for Kenya to meet its food needs from domestic production through local, organic and ecological farming practices. Tithonia diversifolia is a bush in the Asteraceae family, one of the largest flowering plant families, which includes chrysanthemums, dandelion, marigold, daisy and sunflower. Organic matter made from tithonia is a good source of nutrients for lowland rice, maize and vegetables. It is used in Asia and parts of Africa, in humid and subhumid areas. The biomass made from its stems and leaves improves soil fertility when added to the dirt. It decomposes rapidly, providing crops with nitrogen, phosphorus and potassium, essential nutrients for plant growth. Plants cannot complete their life cycle without these elements, which they obtain from the soil through their roots. Experimentation with the plant has shown that under certain conditions, maize yields, for example, have been higher when tithonia biomass was used in the fields than when commercial mineral fertilizers were applied. EMAUA, based in Kenya, is committed to developing techniques allowing “poor communities to live a better life”. Its ultimate objective is to promote organic food self-sufficiency throughout Kenya. Its motto is, “Local resources for better living”. More information is available on its website.